For the past two weeks, mysterious goings-on at a New Mexico solar observatory have been hot news. On Sept. 6, the Sunspot facility on Sacramento Peak in the southern part of the state was strung with yellow tape, and employees were sent home. This set off alarm bells across the Internet: Had astronomers found a lethal solar flare, or even signs of alien life? And was there a government cover-up? Now the scare is over, all systems are “go” and the observatory is back in business. A nonstory, in other words. Except that there is something to ponder here. Why did the fantastic explanations for the hush-up get so much traction? A dangerous event on the sun — such as a coronal mass ejection that might disable satellites or disrupt the electric grid — could be quickly ruled out. There are dozens of solar observatories around the world, and all would have seen something and said something. But aliens … well, that might make more sense. At least to the large fraction of the populace who believe the government is covering up evidence of extraterrestrial life. 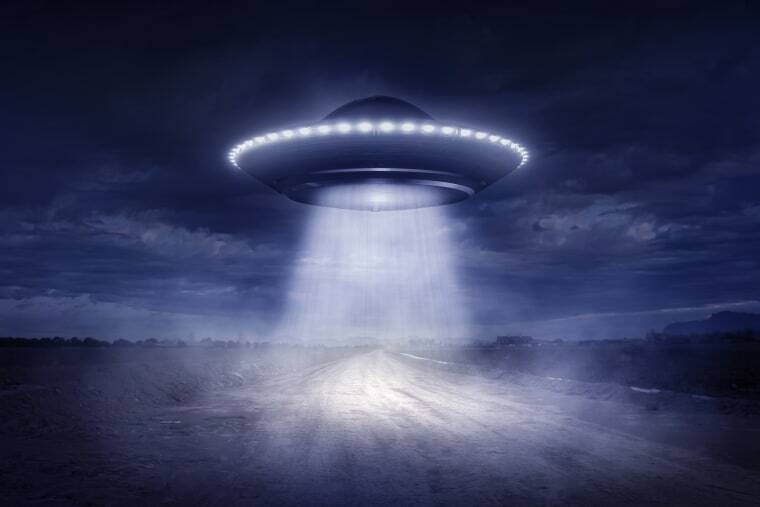 A 2012 National Geographic poll found that nearly 80 percent of Americans think that the government is hiding information about the presence of aliens. The Sac Peak story fed into these beliefs, and offered a perfect storm of shadowy circumstances. To begin with, an observatory seems to have a direct connection to aliens because telescopes scrutinize the sky — where extraterrestrials hang out when they’re not spiriting folks out of suburban bedrooms. And Sac Peak is only 105 air miles from the tiny town of Corona (northwest of Roswell) where — according to UFO lore — alien aviators purportedly ditched their flying saucer seven decades ago. To add suspicion to intrigue, Sac Peak’s work has been supported by government money, which to some makes it simultaneously suspect and malevolent. So of course it could be aliens. But why are the public, and even the media, so often drawn to this explanation for just about anything related to space? Americans seem prone to believe that tens of thousands of bureaucrats (or scientists, such as those working for NASA) could be corralled into making hugely important discoveries and keeping them secret. After all, it happens on TV all the time. For its part, our government does often act covertly. There was that five-year Pentagon UFO study revealed last December, for instance. And in the case of the Sac Peak closure, it does seem strange that authorities would say secrecy was necessary. The endless news stories about the observatory would be tip-off enough to any per perpetrator. When it comes to possible research cover-ups, I’m relentlessly skeptical. I know from decades of experience that science is open: It operates by demanding confirmation and making results public. “Publish or perish” may be a cliché, but it is nonetheless true. If you, as a scientist, keep your work secret, you’ll soon be seeking another line of work. Whatever happened at Sac Peak has yet to be explained. Aliens, to me, are highly unlikely to be part of the story. But in America, whenever the facts remain obscure you can always count on fevered imaginations to offer up their own unsteady illumination. Want more stories about space aliens?